Kristen Stewart is Modesty Blaise! Film critic, journalist, and screenwriter Roger Ebert died today at the age of 70. He had struggled with cancer on and off since 2002. He had served as a film critic for The Chicago Sun-Times since 1967. From 1976 to 1982 he and fellow Chicago critic Gene Siskel appeared on the show Sneak Previews. From 1982 Mr. Ebert appeared on At The Movies under its various titles until 2006. Roger Ebert was born on 18 June 1942 in Urbana, Illinois. He developed an interest in journalism while very young. While in elementary school he published his own neighbourhood newspaper using a mimeograph. In high school he was co-editor of the school newspaper and, as founder of a science fiction fan club, he also published a science fiction fanzine. He was still a teenager when he first started writing articles for The News-Gazette, the newspaper serving the Urbana-Champaign, Illinois area. He attended the University of Illinois at Urbana-Champaign. There he majored in journalism and served as the editor of The Daily Illini. His first ever film review, one of La Dolce Vita, was published in The Daily Illini in October 1961. It was while he was still attending the University of Illinois at Urbana-Champaign that he began selling freelance articles to The Chicago Tribune and The Chicago Sun-Times. Following his graduation from the University of Illinois in 1964, Mr. Ebert studied at the University of Cape Town in South Africa on a Rotary fellowship for one year. He returned to Illinois where he enrolled at the University of Chicago as a doctoral candidate. At the same time, however, he had written Herman Kogan, asking him for a job at The Chicago Daily-News. He was hired to write for The Chicago Sun-Times' Midwest magazine in September 1966. It was upon the retirement of the Sun-Times' film critic Eleanor Keen retired that Mr. Ebert became the newspaper's film critic. It was the same year, 1967, that his first book, Illini Century: One Hundred Years of Campus Life (a history of the University of Illinois), was published. It was through a letter to The Wall Street Journal in which he praised the work of director Russ Meyer that he became friends with the filmmaker. When Mr. Meyer was making Beyond the Valley of the Dolls at 20th Century Fox, he turned to Roger Ebert to co-write the screenplay. While the film was widely derided upon its release, it has since become a cult classic. He would later co-write Russ Meyer's films Up! (1976, not to be confused with the Pixar movie of the same name) and Beneath the Valley of the Ultra-Vixens (1979). It was in 1975 that Roger Ebert received the first Pulitzer Prize ever given for film criticism. That same year would also see another landmark in Mr. Ebert's career. It was that year that Chicago PBS station WTTW teamed Mr. Ebert with rival critic Gene Siskel of The Chicago Tribune for the show Opening Soon at a Theatre Near You. Debuting on 4 September 1975, it was a local show that aired monthly. In 1977 it not only became a fortnightly show, but also began airing nationally under a new title, Sneak Previews. By 1979 it had become a weekly show and went onto become one of the most popular shows ever aired on PBS. In 1982 Roger Ebert and Gene Siskel left Sneak Previews due to what they called "contractual differences." That same year they created their own show, At the Movies, produced by Tribune Entertainment. In 1986 the show's title would was changed to Siskel and Ebert and The Movies. In 1986 Buena Vista Entertainment began distributing the show, and in n mid-1987 it became known simply as Siskel and Ebert. Unfortunately in 1998 Gene Siskel underwent surgery for a cancerous brain tumour. As of 3 February 1999 he had hoped to take a leave of absence and to return to the show that autumn. Sadly, on 22 February 1999 Gene Siskel died at age 53 from complications from another operation. The following week Roger Ebert devoted the entire show as a tribute to Gene Siskel. The show continued after Mr. Siskel's death featuring various guest critics under the title Roger Ebert and the Movies. In September 2000 fellow Chicago Sun-Times columnist Richard Roeper was hired as the show's co-host and the show was once more renamed, this time to Ebert and Roeper and The Movies. It would undergo one more title change in 2002, this time to simply Ebert and Roeper. Unfortunately, in July 2008 Buena Vista Entertainment decided that they wanted to take the show in a different direction, leading to Roger Ebert's departure from the show. In the 2010 to 2011 season he had a new show, Ebert Presents: At the Movies. It was in early 2002 that Roger Ebert learned that he had papillary thyroid cancer. That February surgery was successfully performed to remove the cancer. He would undergo more surgery in 2003 to remove cancer from his salivary glands and that December underwent four weeks of radiation to his salivary glands to treat the cancer. Unfortunately, in 2006 he would undergo another operation to remove more cancerous tissue, which involved removing part of his jaw bone. He lost the ability to speak following this surgery. During this period his seat on Ebert and Roeper was filled by various guest critics. It was on 18 May 2007 that he returned to writing reviews for the Sun-Times. Of course, in his later years Roger Ebert would become well known for his presence on Twitter, where he had well over 820,000 followers. While his reviews were published on The Chicago Sun-Times' web site, he also maintained his own blog there as well. Mr. Ebert's blog covered much more than film. In his blog he discussed his views on everything from politics to religion. Much of what he wrote in his blog was autobiographical, from his Aunt Martha to his first meal at a restaurant (Steak and Shake). Roger Ebert was extremely prolific. Since 1999 except for 2008 every year he published Roger Ebert's Movie Yearbook, a collection of reviews from the past two and a half years. He also wrote 15 books over the years, including Scorsese by Ebert, The Great Movies, The Perfect London Walk, and his autobiography Life Itself: A Memoir. In addition to writing he had also taught night classes at the University of Chicago since the Seventies. Roger Ebert was the first film critic to ever receive a star on the Hollywood Walk of Fame. In 2009 he was made an honorary, lifetime member of the Directors Guild of America. The University of Colorado, the AFI Conservatory, and the School of the Art Institute of Chicago also gave him honorary degrees. It was on 3 April 2013 in his blog that he announced he would be taking a "leave of presence" due to what had been thought a hip fracture and had turned out to be cancer. Roger Ebert's final words in his blog were, "So on this day of reflection I say again, thank you for going on this journey with me. I'll see you at the movies." In the eight years and ten months that I have written this blog, there have been those few eulogies that I have found very hard to write. This has been one of them. I have teared up a few times writing this entry. The simple fact is that Roger Ebert had a huge impact on my life and I believe I owe an enormous debt to him. Roger Ebert and Gene Siskel both helped facilitate my love of film. Roger Ebert clearly loved the movies and he was very eloquent when both writing and speaking about them. Indeed, The Chicago Tribune's headline for Roger Ebert's obituary read, "Film critic had the soul of a poet." I don't think anyone could have found a better description of Mr. Ebert. He was an eloquent man who saw the beauty and art in films. What is more, he saw beauty and art not only in critically acclaimed, high brow films, but even in "low brow," exploitation films. Roger Ebert was definitely not a film snob. This brings me to another reason that I always admired and respected Roger Ebert. Many film critics give off an air of superiority, as if their tastes in films are somehow better than those of most people. Quite simply, they give one the feeling that they think they are some how above the average film lover. This was not the case with Mr. Ebert. Roger Ebert never sounded snobbish or condescending. In fact, like Gene Siskel, he was quite the opposite. Roger Ebert always gave one the feeling that he was just another film lover, no better or worse than anyone else. I know for a fact that he often took the opportunity to talk about (and sometimes debate) films with ordinary movie lovers, treating them with the same respect as he would a professional critic. 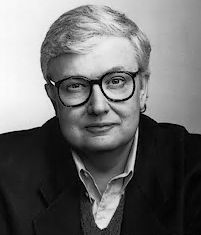 Of course, while Roger Ebert always seemed to regard himself as just another movie lover, I think most of us can agree that he was a very refined and educated one. In fact, one of the marvellous things about Roger Ebert is that even when I disagreed with him on a particular film, I could understand why he didn't like that film and respect his reasons for doing so. While many critics seem unable to get across why they dislike a film or, at least, to give good reasons for doing so, Mr. Ebert could always explain precisely why he did not like a film and give sound reasons for not liking it. In many respects he was the perfect film critic, one blessed with eloquence, reasoning, and the ability to find enjoyment in everything from art films to exploitation films. I said earlier that Roger Ebert had a huge impact on me and I feel I owe an enormous debt to him. The fact is that he and Gene Siskel did not simply help facilitate my love of films, but they taught me that films are something worthwhile to discuss, debate, and write about, regardless of whether those films are classics or not. In turn I could apply this principle not only to film, but to other media as well, from television to comic books to rock music. Quite simply, then, Roger Ebert was one of the many who set me on my course to becoming a pop culture historian. I cannot say this blog would not exist had it not been for Roger Ebert, but I suspect it could be very different if not for him. Like so many film buffs and so many writers as well, then, I owe an enormous amount of gratitude to Roger Ebert. He has been described by some as the most famous film critic in the world. I can't wonder that he wasn't also the greatest film critic of all time as well. I do completely think he was the greatest film critic ever! I trusted him 100% love that he talked about everything in his blogs! i am going to read a book of his this week how many do you have I have 8 of 15 so not bad ! A nice tribute to a renowned critic and an excellent writer (he wasn't awarded a Pulitzer for giving "thumbs up"). He will be missed.